What kind of nootropic if L-theanine? L-theanine is an amino acid that is commonly found in green tea and was first derived by some Japanese dude (no less) from said tea. It is the crucial element in the drink that gives it the well-known relaxing and calming effect, despite the caffeine content in green tea. Although there have been no large-scale studies involving L-theanine itself, many individuals use it as a supplement to reduce anxiety and stress, and to promote relaxation. Like Phenibut, L-theanine is able to cross the blood brain barrier, although from personal experience I don’t think the effect itself is as noticeable as Phenibut, if there is any significant effect at all. Why combine L-theanine with caffeine? 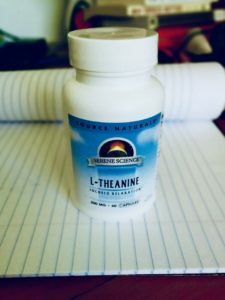 The combination of L-theanine and caffeine is probably one of the most underrated nootropic stacks (i.e., taking different types of nootropics together) that I am aware of. What L-theanine is able to do is astounding. And its combination with caffeine creates the most synergistic effect that is almost heavenly. The amino acid is able to level out the anxiety producing effects of caffeine, which results in a smooth caffeinated experience for the individual. It’s like Adderall, but better. 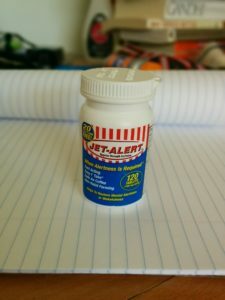 In fact, studies have shown that the increased cognitive enhancing effects that Adderall users feel are merely placebo. On the other hand, numerous studies like this one have shown that L-theanine and caffeine do indeed produce a synergistic effect that increases memory, focus, attention, and mood–just to name a few. These findings have been repeatedly replicated too, which is important for science. Go science! • No jitters or anxiety: I felt the great pick-me-up and wakefulness feeling that caffeine commonly produces, without the jitters, anxiety, or teeth clenching. I don’t know why, but caffeine sometimes makes me clench and grind my teeth. It’s quite uncomfortable and probably unbecoming to those who notice. • Increased ability to focus: Although it was an early morning class, I was able to focus with ease. Not only that, I was able to maintain my focus, which was difficult when I was and am still basically Snorlax. Also, I noticed that I was more engaged during class and asked a lot more questions than usual. • Increased motivation: After class, I could easily motivate myself to get my work done and out of the way immediately after said class. No problemo. • Better mood: Although caffeine already has mood-enhancing properties, I felt as if the L-theanine enhanced caffeine’s mood-enhancing properties even MORE. I’m sure this was due to the anxiety reducing properties of the theanine, so I basically felt all the positives of caffeine and none of the negatives. • Long duration: The effects of L-theanine and caffeine lasted around 4+ hours for me. In other words, I felt like I got my money’s worth. I rarely ever re-dosed. I highly recommend L-theanine in combination with caffeine. I still take it occasionally when I need to get a lot of work done, or when I just need an extra boost or some laser sharp focus for the day. I’ve tried many different brands for L-theanine, and ultimately I’d recommend Natural Factors Suntheanine or Source Naturals. As for caffeine, I’d advise to either buy it in powder or pill form, so you can obtain a precise measurement of exactly how much you’re consuming. 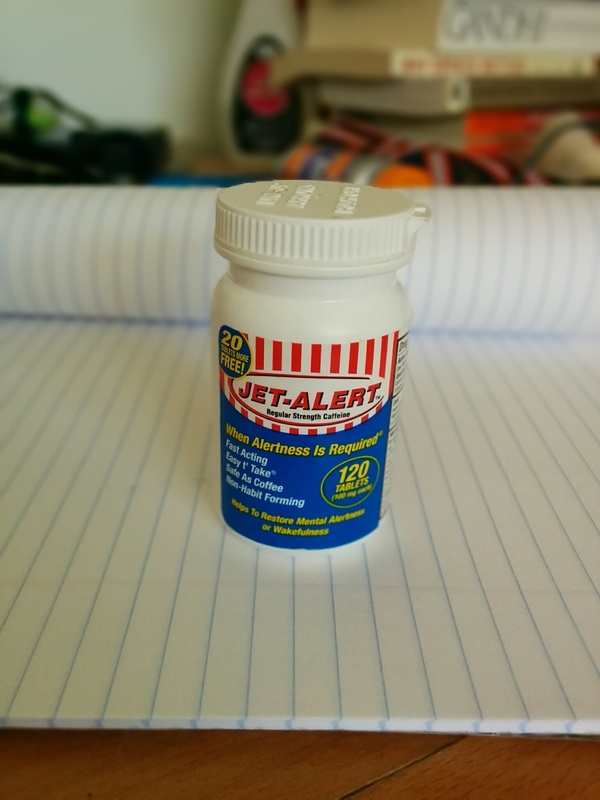 I personally like Jet Alert caffeine tablets because they come in 100 mg pills and I don’t like the feeling of consuming the standard 200mg pills at once. Hey college students--forget Adderall, go for L-theanine and caffeine! Try it out, methinks you'll like the results. If you've tried L-theanine + Caffeine, submit your rating below or leave a comment! Hi, what dosage would you recommend? Like how many mg of caffeine + mg of L theanine to produce similar effects to adderall? Hi Jenny, thanks for taking the time to comment! The answer to your question depends largely upon your tolerance to caffeine, I think, and your biological makeup in general. As a quick disclaimer, I doubt any amount of caffeine + L-theanine would be able to fully replicate the effects of Adderall, but judging from the way you phrased your question I think you already knew that. If you have an average to high tolerance to caffeine, I’d recommend starting off with 100-150mg of caffeine and double the amount of L-theanine. Definitely start at the lower end of what you think you can handle and work your way up. I personally find that too-much-caffeine feeling to be unbearable. You know your body best. Definitely experiment and play around with different ratios. Everybody’s different. Some people I know prefer a 4:1 ratio and others a 1:1 ratio. You probably won’t achieve that Adderall-like feeling you’re interested in on your first try, but just keep modifying until you can hopefully produce it. Back in college, I used to drink a lot of coffee so I had a pretty high tolerance. Whenever I had morning classes, I’d wakeup and immediately take 100mg of caffeine with 200mg of L-theanine. This worked like a charm for about 1-2 years, but then I suddenly became overly sensitive to caffeine. Nowadays, if I’m consuming caffeine, I tend to take 25mg when I wake up and 25mg about 20 min. later with 200-400mg of L-theanine. So I guess to sum up–start off with 100mg of caffeine and 200mg of L-theanine. Then, if that’s not enough stimulation for ya, work your way up in 25-50mg increments of caffeine. Once you find the caffeine dosage that’s optimal for you, you can start playing around with varying amounts of L-theanine for different effects. It’s all pretty subtle when it comes to the L-theanine, IMO, although there’s definitely a synergistic effect. Don’t expect anything too drastic when increasing or lowering the dosage, but experiment so you can find your sweet spot. As always, your mileage may vary. Have fun! i’ve not heard or tried this brand of CBD gummies but it’s worth giving it a shot. ymmv. weird…i’m not exactly following what’s happening on your end. can you clarify?